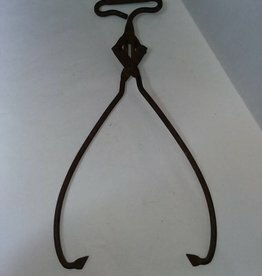 1920's, Advertising Item, Drodge Elevator Co., Council Bluffs ,Iowa, Forged steel ice tongs. 15" long. Very nice condition. 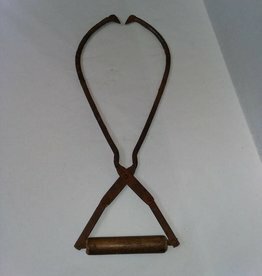 1920's, Ice delivery man's set of tongs advertising a Shenandoah, Pa. ice company, wood handle, 14". Somewhat rusty.